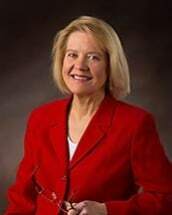 Attorney Janine Gawryl graduated from Northeastern University School of Law in 1977, and was admitted to practice in the New Hampshire State Courts and the U S District Court that same year. Upon graduation, she worked for the New Hampshire Bar Association. She began private practice in litigation in 1983. Attorney Gawryl became a principal of the law firm of Richards, Gawryl & MacAllister in 1989. In 1995, Attorneys Gawryl and MacAllister formed Gawryl & MacAllister, which has grown, and now is known as Gawryl, MacAllister & O’Connor. Attorney Gawryl’s current practice areas include litigation, but over time, more and more of her work has centered in disability law and employment law. She welcomes new clients who need help with social security disability, workers’ compensation, employment disputes and personal injury. She was one of the first New Hampshire attorneys to be selected by the Superior Court to be a court mediator as part of the Court Rule 170 mediation program. Attorney Gawryl has served on numerous National and local New Hampshire Bar Association committees. She is a member of the NH Trial Lawyers Association, and the NH Bar Foundation. She has also served as a member of the Board of Directors of several non-profit agencies and has been active in local government. Attorney Gawryl was instrumental in organizing the Webster-Batchelder Inn of Court, a local chapter of the American Inns of Court. It was the first Inn of Court established in the State of New Hampshire. She served as the administrator for the Webster-Batchelder Inn of Court from its inception in 1992 until 2009. Attorney Gawryl has successfully argued numerous cases in the N H trial courts, appeals before the New Hampshire Supreme Court, and cases before the U.S. District Court for the District of New Hampshire. She has won numerous commendations.